From today, the Villa Adriana’s Antiquarium is hosting an important new exhibition: “Hadrian and Greece. Hadrian’s Villa between Classicism and Hellenism”. Fifty masterpieces have arrived at Villa Adriana on loan from Greek museums (from Athens, Marathon, Piraeus and Corinth and Villa of Herodes Atticus in Loukou), many of them never exhibited in Italy before. The exhibition highlights the relationship between Hadrian and Greece and shows the constant cultural and political relations between the emperor and Athens. ”Hadrian studied there and went back for long periods of time as an adult”, said Elena Calandra, the curator of the exhibition. ”Before the imperial crown he became archon and established himself in Athens during the last six years of his life, making it a sort of capital and base for trips to the East”. Hadrian was a very important figure in Greece where he was considered a visionary emperor who loved Athens, and made it more beautiful with architectural masterpieces like the arch of Hadrian, the library and the aqueduct. Nicknamed ‘Graeculus’ or ‘the little Greek’, Hadrian adored all things sophisticated and Greek and became an ardent friend of the Greek people. He displayed his interest in a number of benefactions to cities and individuals alike. Artefacts sent from Greece for the exhibit include Caryatids from Corinth, Hadrian’s head from Athens, statues of philosophers and the head of Herodes Atticus – a rich land owner who was a friend of the emperor – women’s portraits, and the beautiful Antinous from Patras. “Hadrian and Greece. 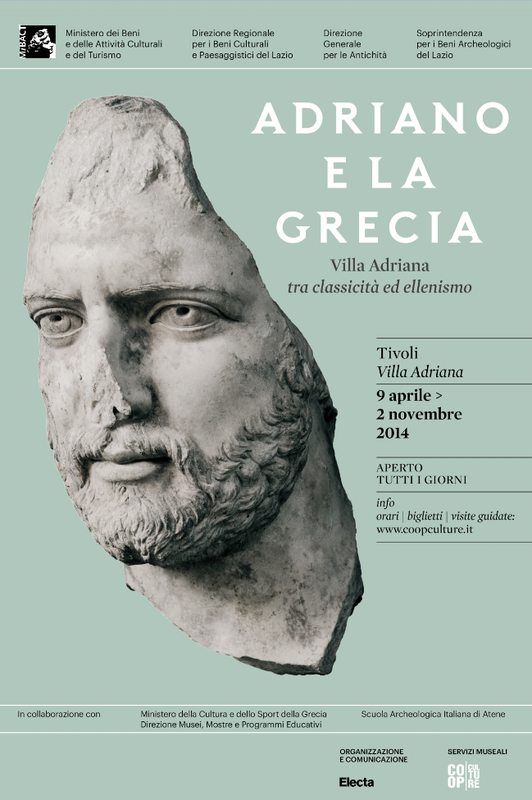 Hadrian’s Villa between classicism and Hellenism” – Antiquarium of the Canopus – Hadrian’s Villa, Tivoli – From Wednesday 9 April to Sunday 2 November 2014. Next postFelix dies natalis, Septimi Severe!